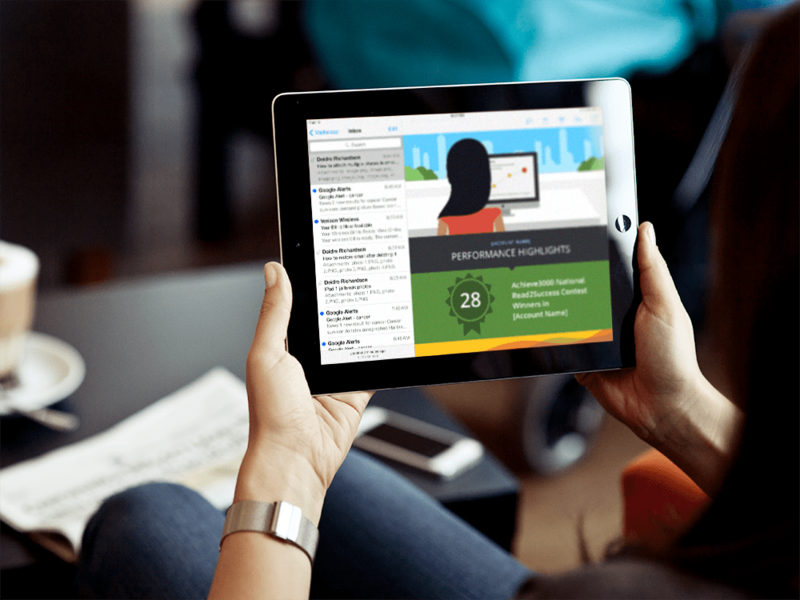 Illustrated and Flexible Student Test Results HTML email campaign helps Achieve3000 break through the E-mail Jungle. Achieve3000, Lakewood, New Jersey, the leader in online differentiated instruction, serves over three million learners worldwide. Faced with the challenge of effectively communicating school and student test results derived from A3K’s use of Tableau® software, which performs sophisticated education analytics and enables Achieve to share its data with educational stakeholders, the client asked MVP to create an engaging email campaign that would be flexible, reproducible and expandable. Given the tangle of school correspondence that bedevils parents, teachers and administrators alike, MVP’s creative and technologically adept problem solvers, recognized the need to break through the weeds. Creating colorful and positively themed illustrations, MVP seamlessly engaged parents, teachers, curriculum coaches and administrators through eye-catching email communications. 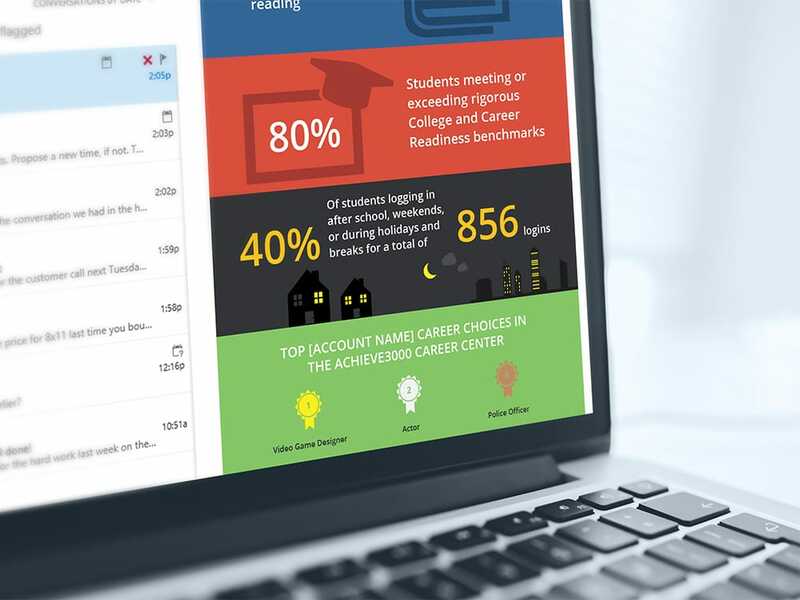 Synthesizing data-driven content and school-related visual elements, MVP incorporated visual and verbal elements into HTML emails, scoring high marks for Achieve3000—and MVP—in the process. You’re about to leave our site to see some of our great work. Our wonderful clients control their websites once we finish the project, so things might look a little different now. Come back and see our work again soon!